In a ruthless world where even being born comes at a price, Ryan finds sanctuary in The City; a protected haven guarded by soldiers and governed by a religious order devoted to the River. There he joins the army; running the gauntlet of the plains, shepherding scared newborns in to The City and holding off the Rebel attackers. But as the bloodshed continues Ryan starts to question the war. And when long-held beliefs fall as quickly as dying soldiers, Ryan finds he is fighting not just to uncover the truth, but also to save his life. 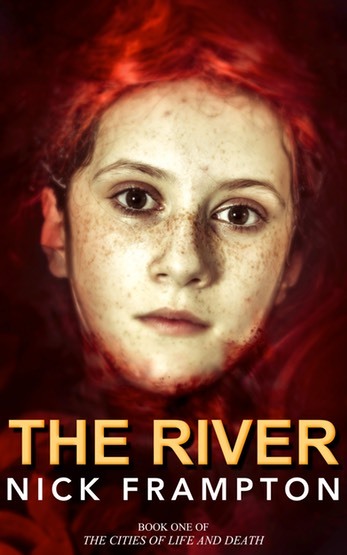 The River is the first book in The Cities of Life and Death series – an epic mix of classical mythology and contemporary fantasy. Spanning worlds and lifetimes, the series tells the story of gods and heroes, lovers and warriors. If you’d like to join the mailing list to receive e-mail updates, advanced notification of publication dates as well as insider exclusives to the series you can sign up below.